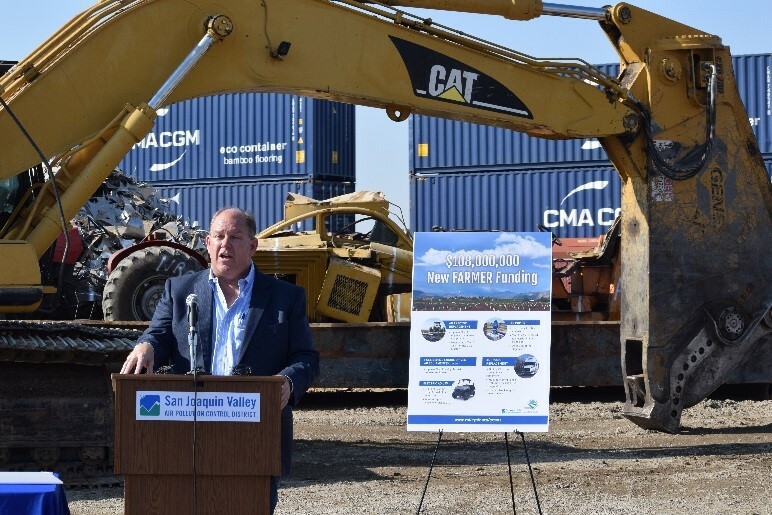 The San Joaquin Valley Air Pollution Control District (District) and California Air Resources Board (ARB) in partnership with state and local officials as well as the Association gathered at Bruno’s Iron and Metal to highlight the new Funding Agricultural Replacement Measures for Emission Reductions (FARMER) Program. This program funding of $108 million, comes from the California Climate Investments that puts Cap & Trade dollars to work to reduce greenhouse gas emissions. 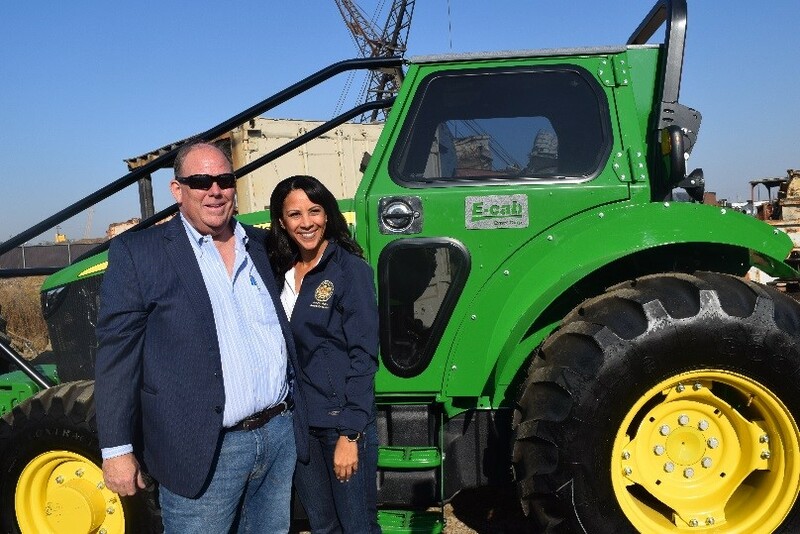 Through the FARMER program valley farmers can apply for incentive dollars to replace their older tractors, trucks and ATVs with newer, lower-emission technology. Association President/CEO Roger Isom said, “Today is a monumental day… (or whichever quote you would like”. The Association was one of the few ag organizations to fight for this money to come to the valley. Additionally, Isom noted that this was an effort where party lines were crossed and legislatures were able to come together to make happen. Attendees of the event were able to witness tractors, road graders and an ATV being replaced with these dollars being crushed. Among the speakers for the day were Assembly Member Autumn Burke, Assembly Member Heath Flora, Supervisor Buddy Mendes, Director of EPA Region IX Mike Stoker, Executive Director/APCO Samir Sheikh, Nisei Farmers League President Manuel Cunha, ARB Board Member Hector De La Torre, CDFA Undersecretary Jenny Lester Moffitt and Carlos-Suarez with USDA-NRCS.